The Honda Pilot Elite AWD is one of the manufacturer's four crossovers. Photo by Tim Plouff. Minivans. The mere mention of this type of family-oriented vehicle drives some buyers nutty. It can’t be the versatility, because no vehicle in the marketplace has more interior space or cargo capacity for traveling families than the minivan. So it must be the image, the perception that you are beneath your peers for driving something so sensible, so practical. The vehicle's new, more rugged appearance is a plus. Photo by Tim Plouff. The proliferation of three-row crossovers has crushed the minivan class. Unlike three-row SUVs that employ a truck-based ladder frame, three-row crossovers often use a chassis that is, well, based on a minivan platform. Or worse, a large car. However, the three-row crossover looks more rugged, enhancing the image that is so important to this burgeoning category. So, when Honda revised its previously boxy Pilot for 2016, critics quickly assailed the softer, minivan-like look of the new design. For 2019, Honda has produced a mid-cycle Pilot that embraces new front and rear fascias that look “more rugged,” while improving both the instrument cluster and the infotainment packages, and re-programming the nine-speed automatic on upper trim levels to eradicate some customer complaints about less-than-perfect performance. All in all, the new Pilot makes a better impression. The No. 3-selling full-size crossover in 2018 (behind the Ford Explorer – also new for 2019, and Toyota’s Highlander) the Pilot will soon be joined by a two-row version named Passport, just like one of the very first Honda crossovers offered years ago. This will give Honda four crossover models – HR-V, CR-V, Passport, and Pilot – which is where the action, and the sales, are in showrooms right now. 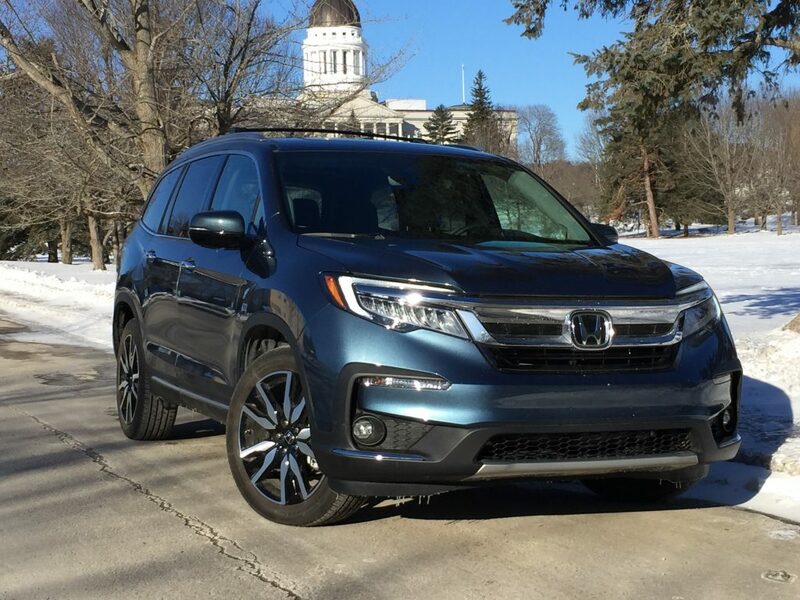 Pilot prices increased roughly $550 across the lineup – $32,445 for base LX trim with FWD, to $38,755 for EX-L, and $49,015 for an Elite AWD like our sample – yet Honda added its full complement of Honda Sensing safety gear to every trim level, so the price increase is essentially a wash. These items include forward collision alert, emergency braking, adaptive cruise, blind-spot detection and lane-keeping assist. For LX, ES and EX-L trim, AWD is an additional $1,900. LX, ES and EX trims use a six-speed automatic transmission with a conventional gearshift on the console teamed with the energetic 3.5-liter, 280-hp V-6 engine. Touring and Elite trim Pilots get the re-worked nine-speed automatic with an eccentric electric push-button arrangement on the console. EPA ratings are 19/26 mpg. Our low-mileage Elite was not fond of January’s arctic temperatures, returning an average of 20.5 mpg for its sunny but cold visit Downeast. Despite the crossover designation, it is hard not to draw similarities to its sibling Odyssey minivan: The Pilot has 16 cupholders, the middle row Captain’s Chairs create cargo flexibility, visibility fore and aft is excellent, and rear cargo capacity is perhaps the best in the segment. Driving feel is agile and light, due partly to the heavily boosted steering feel; yet the responsive V-6 helps the Pilot cruise effortlessly even as the dynamic cruise often responded slowly to traffic changes. 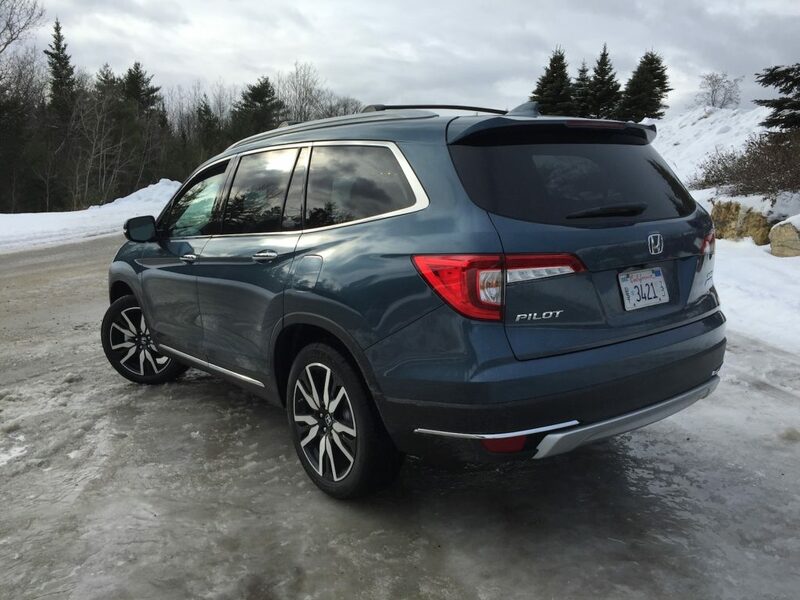 Ride dynamics are very good, and the surety of AWD made winter driving more comforting; however, the Pilot’s handling will bring back more thoughts of a minivan as it leans into turns, revealing its higher center of gravity. Most drivers may never experience these sensations, since a full load of family would probably discourage a pace that would upset passengers. Elite trim brings a host of “must-have” features. Remote start, dual-panel sunroofs, heated steering wheel and heated leather seating, 4G Wi-Fi hotspot plus Apple/Android compatible HD radio, LED lites front and rear, heated second row seats, second row sunshades, Blu-Ray rear DVD entertainment, navigation, Honda’s Cabin Talk system, and a power liftgate are some of the highlights. The added volume knob on the eight-inch touchscreen is a big improvement over the previous capacitive-touch slide bar, so it would also make sense to bring back a simple tuning knob for station selections and app-manipulation. 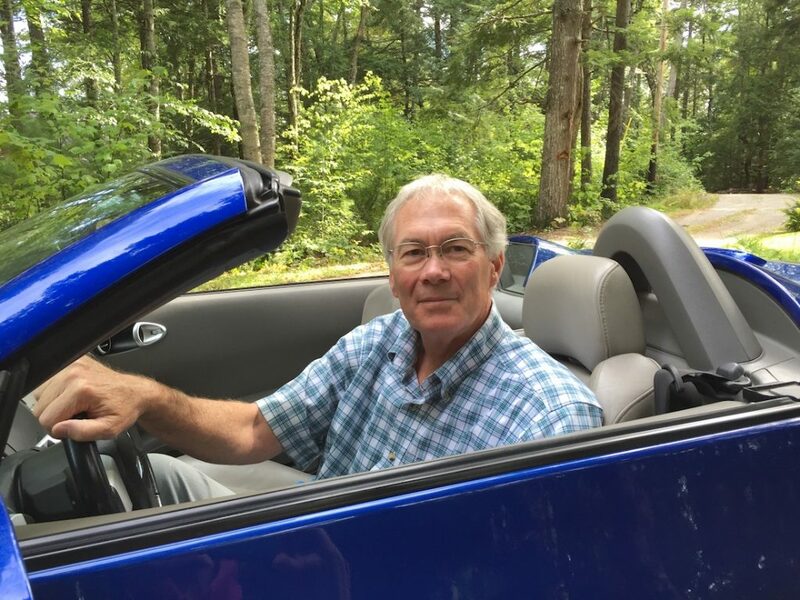 While our fresh-off-the-trailer Pilot’s fuel economy will certainly improve with the climate (and the miles,) the ease-of-use of this three-row crossover is a constant. Egress and ingress are exceptionally convenient; driver comfort is very good with the heated components on sub-zero mornings, and the standard safety electronics boost the Honda’s overall five-star safety rating. It should also be noted that the Pilot had an excellent automatic climate system – three-zones, too – that outperformed several recently sampled systems. And when it is 10 below zero, as on two recent mornings, that remote start function is the most valuable feature offered. The new Pilot should help many families address minivan-derangement syndrome with a crossover that’s more than competent.